The Middle East is characterized by colonialism: white leaders from Europe pointing their fingers on maps, drawing arbitrary lines across territories to divvy up the land that they had ‘conquered’ and ‘civilised’. Worse still, under the name of imperialism, this region and many other parts of the world saw some of era’s most horrific crimes against humanity. Israel, beyond being the home for millions of Jews and non-Jews alike, is indeed a piece of the colonial pie. Yet for millions around the world, myself included, it has a special significance, this added sentimentality. The place where the stateless Jews, after one of the worst atrocities of the 20th century, finally find a home. One hundred years ago today, Arthur Balfour, former Prime Minister and now Foreign Secretary, in a letter to eminent Jewish politician Sir Walter Rothschild, outlined his, and indeed the Foreign Office’s, intentions to secure in Palestine a state for the Jewish people. 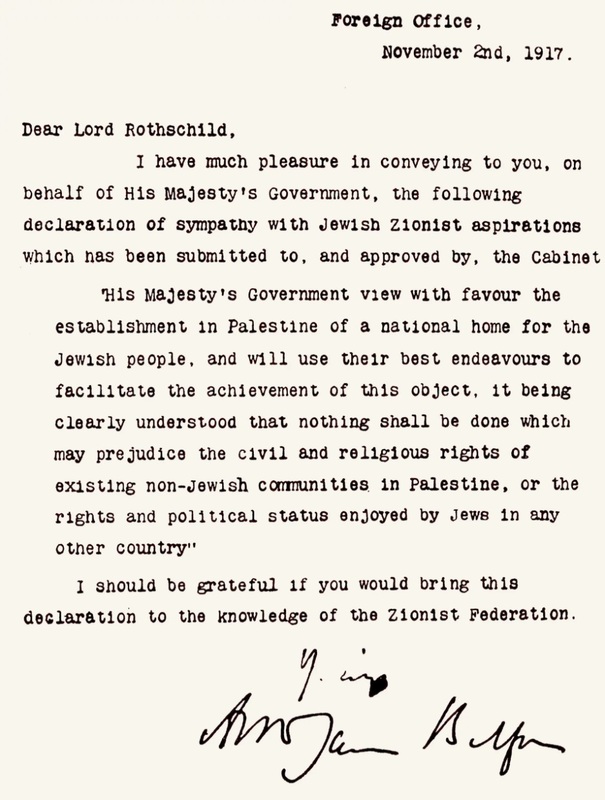 This famous letter was to become known as the Balfour Declaration, and this ‘state for the Jewish people’, over thirty years later, was to become Israel. And now, one hundred years later, I am left asking a question on the lips of dozens of Jews in the UK: what does Balfour mean to me? The Balfour Declaration undeniably paved the way for the creation of a thriving Jewish community at a time when the Jewish population needed it the most. By the end of the Second World War, a third of the Jewish population had been killed, and the rest remained scattered across the continent and even over the Atlantic. Balfour’s letter to Rothschild enshrined the idea that the Jewish people merited a homeland, and at this dire time, they needed it to survive. As a reform Zionist, however, Balfour’s centenary reveals some of the dilemmas and debates that modern Jews might have regarding Israel. Reform Zionism is characterized largely by the idea of ‘hugging and wrestling’ with Israel. Often through debate and discussion, it is hard to know if we are grappling with or supporting Israel. Or maybe through our desire to make Israel the country we want it to be, we continually criticize the actions of Israel and its government. It is perhaps forgotten that Balfour wrote conditions of his support for a Jewish state, stating that ‘nothing shall be done that might prejudice the civil and religious rights of existing non-Jewish communities’. It doesn’t need reminding how far the Israeli government has strayed from this original message, as it continues to build illegal settlements and limits the civil rights of the citizens living in the Occupied Territories of the West Bank and Gaza. This document, therefore, can be one of three things. Firstly, a frank reminder of British colonialism, which above all else was a sterilizing influence on the region and stifled any attempt for independence or self-determination. Secondly, it reminds us of the ideology on which Israel was originally built, that of justice and security for the Jewish people who at the time had little resembling a home. 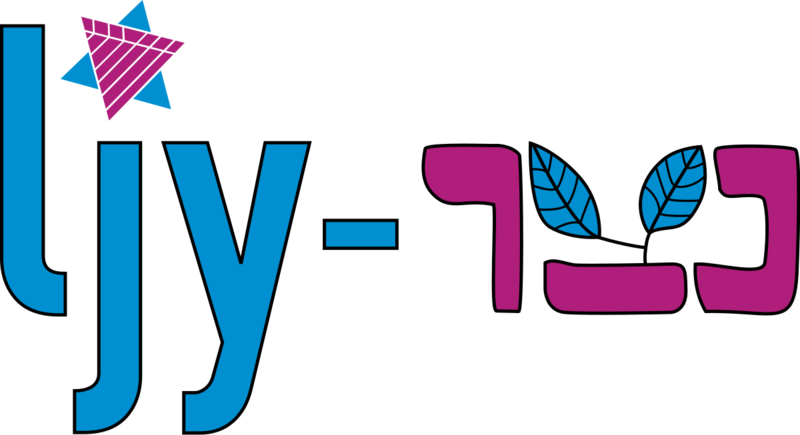 Finally, and perhaps most importantly, it reignites our desire to make Israel the nation we want it to be, free from prejudice and discrimination, and our duty to pursue this until it is a reality.